Just because they have four legs your pet shouldn't be excluded from dressing up! 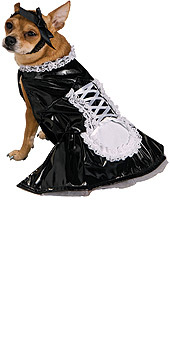 Fulfil your poodle's fantasies with this French Maid Pet Costume. If you can teach them to clean while they're wearing this dog costume you'll be laughing!